This graph illustrates how important public transport is to older people even in a relatively mobile and affluent group. 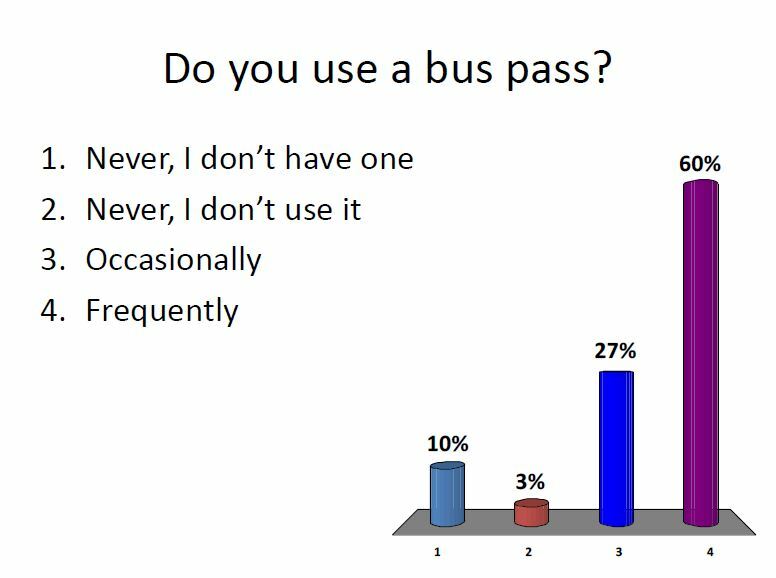 The bus pass, which makes travel free within the city, must be a significant marker of an Age Friendly City. It would be interesting to know how many people would continue to travel if the free service was withdrawn. The future of subsidies public transport for older people is clearly under threat at a national level and I have written about this in the GrumbleSmiles blog. You can read my blogs by clicking on “BUS PASS” in the TAG CLOUD.